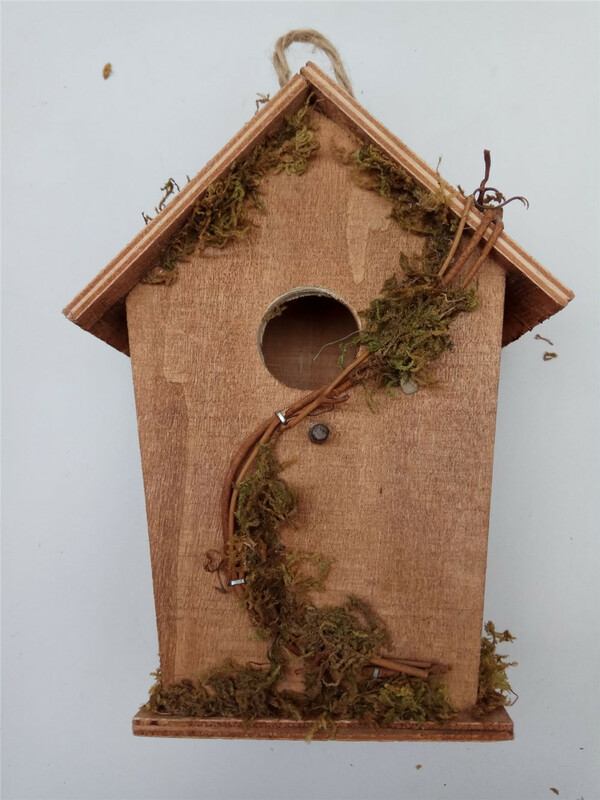 The design theme of this house bird is flying to the ancient original life. 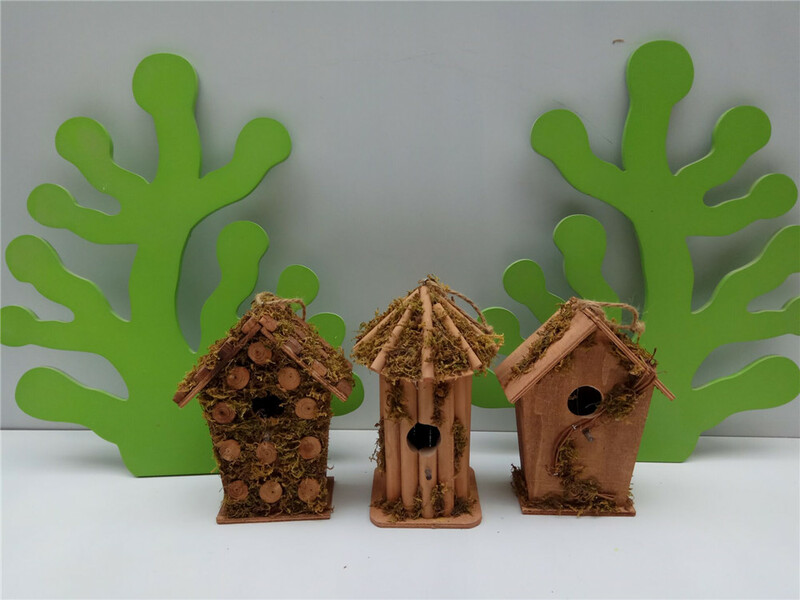 Our bird house adopt natural no-pollution solid wood as material then add moss on the bird house. Look the whole, there is a sense of primeval forest. 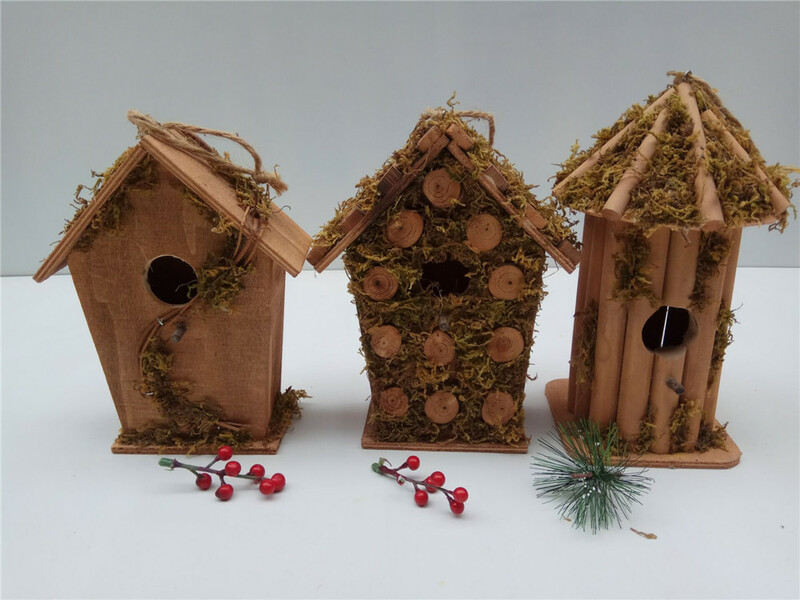 bird house are set 3, but you can according to you like. 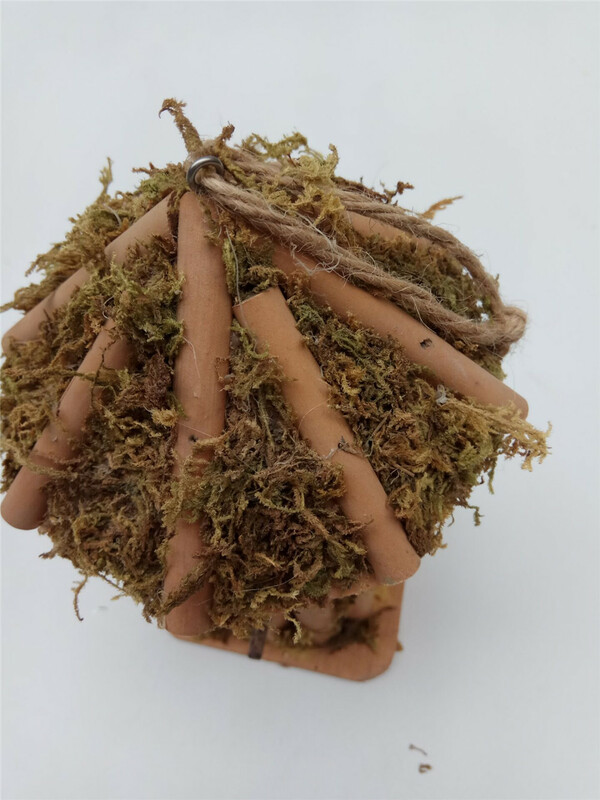 The second one: there are many moss and small wooden square are full of the roof and in the front of the bird house, there are many round wooden and many mass on it. The size is 14.5*6.5*19CM. The third one: there are teng article with mass from bottom to bird roof. 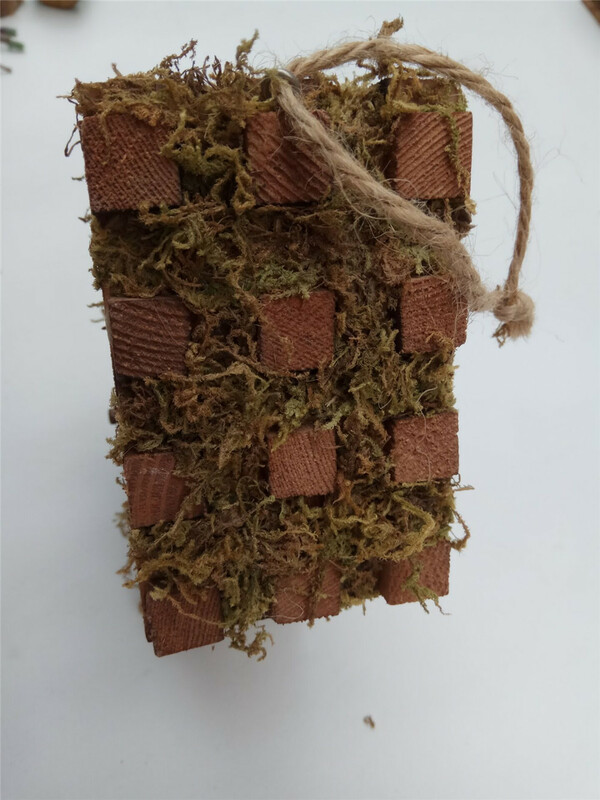 The size is 14.5*6.5*19CM. 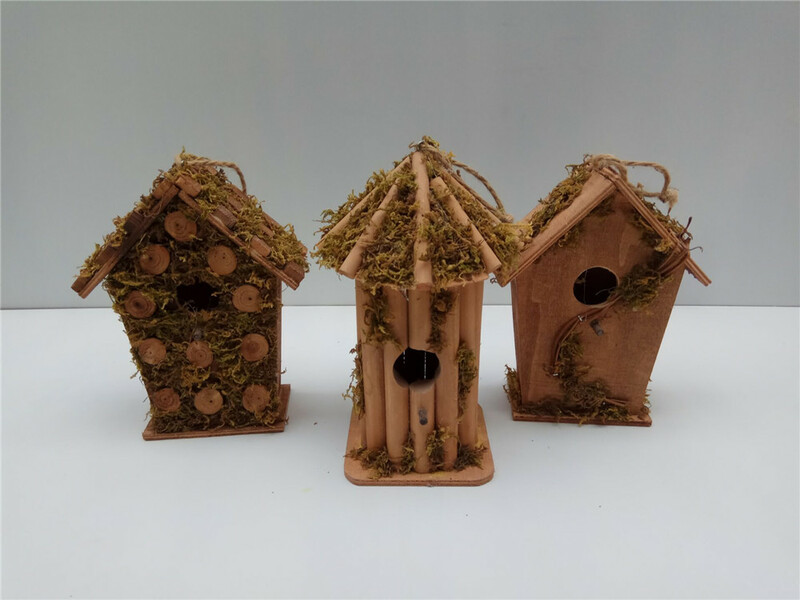 All of three bird door is about 3CM. The goods is our new creative bird house. 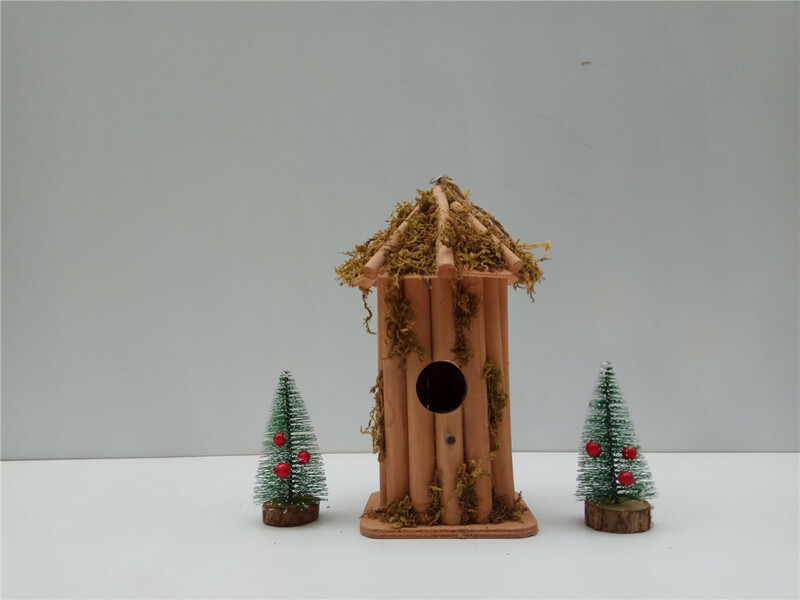 You can place the bird house to the outdoor and hanging in the tree. 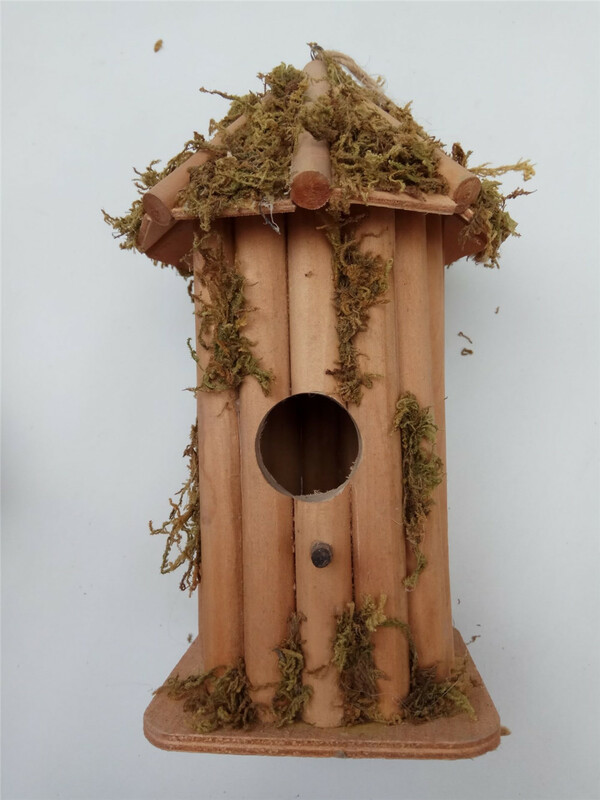 Maybe some people will think this bird house is built by birds themselves. 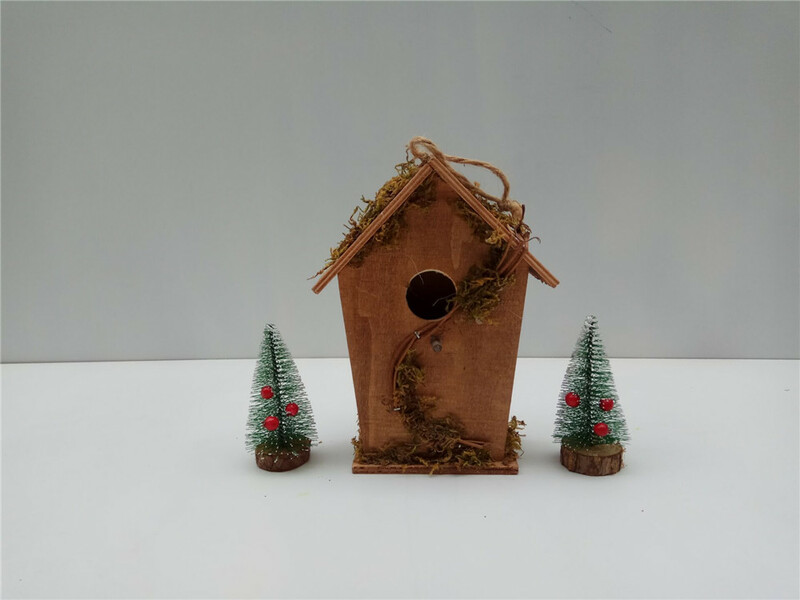 Unique Wooden Bird House can as gift for your friends. 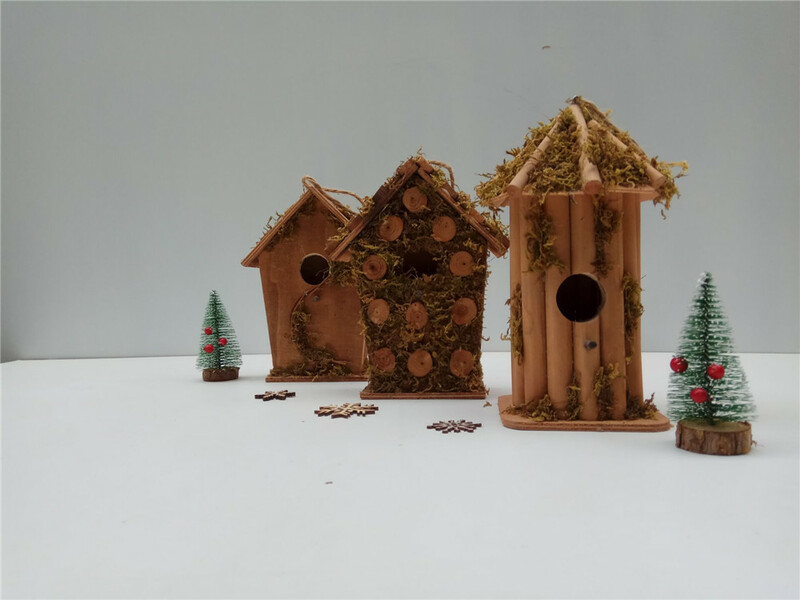 Bird is our friends, for bird find a no pollution suitable house is very important. 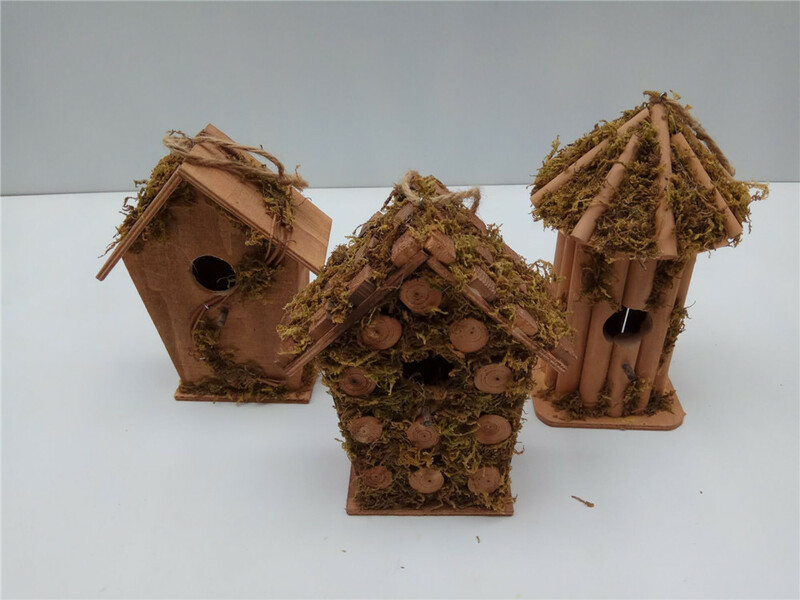 Looking for ideal Outdoor Solid Wood Wooden Bird House Manufacturer & supplier ? We have a wide selection at great prices to help you get creative. 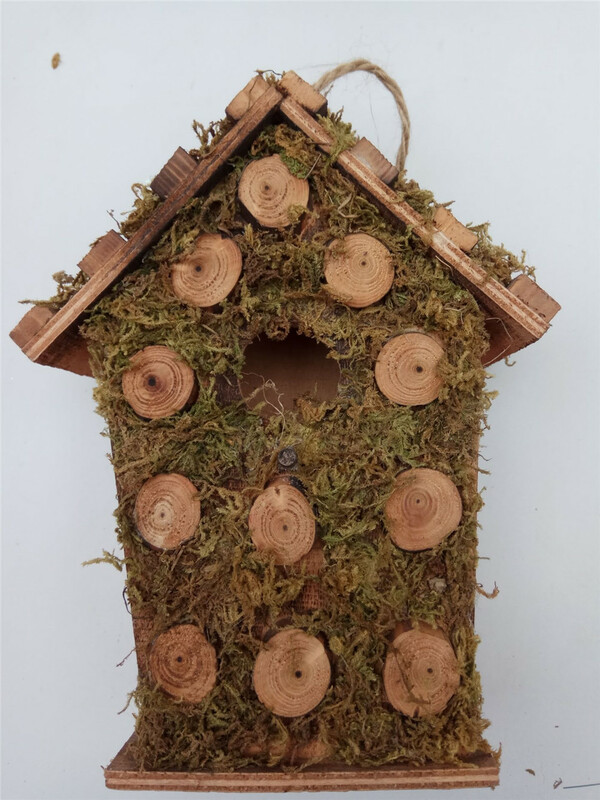 All the Unique Wooden Bird House With Moss are quality guaranteed. 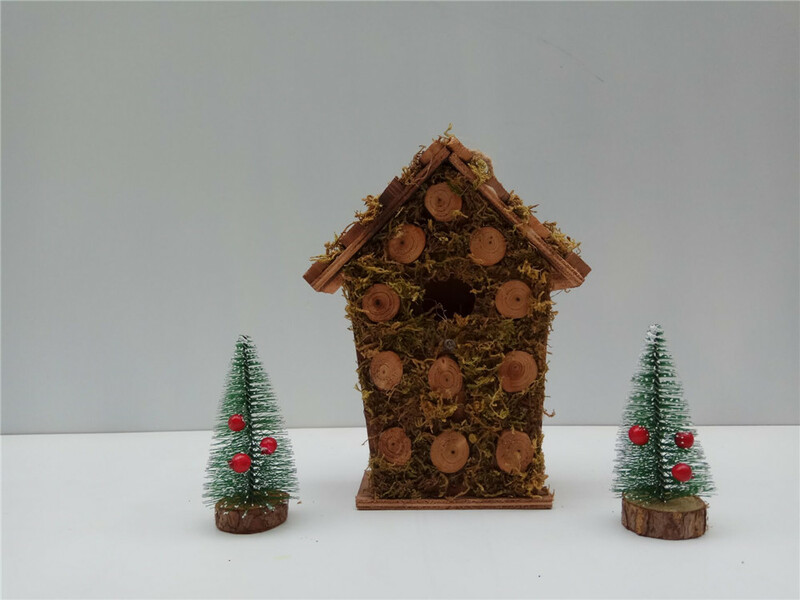 We are China Origin Factory of NO Pollution Creative Bird House Hanging. If you have any question, please feel free to contact us.